Greensboro, NC 27410 FILL OUT FORM & GET A FREE CLASS! Please, let us know if child, teen or an adult so we can schedule age appropriate trial classes. We are located across the street from the Brassfield Cinemas and Fellowship Presbyterian Church on New Garden Road. Look for a large, red and blue TAEKWONDO AMERICA sign. Click the map to get driving directions to Greensboro Taekwondo America karate and martial arts in Greensboro NC. 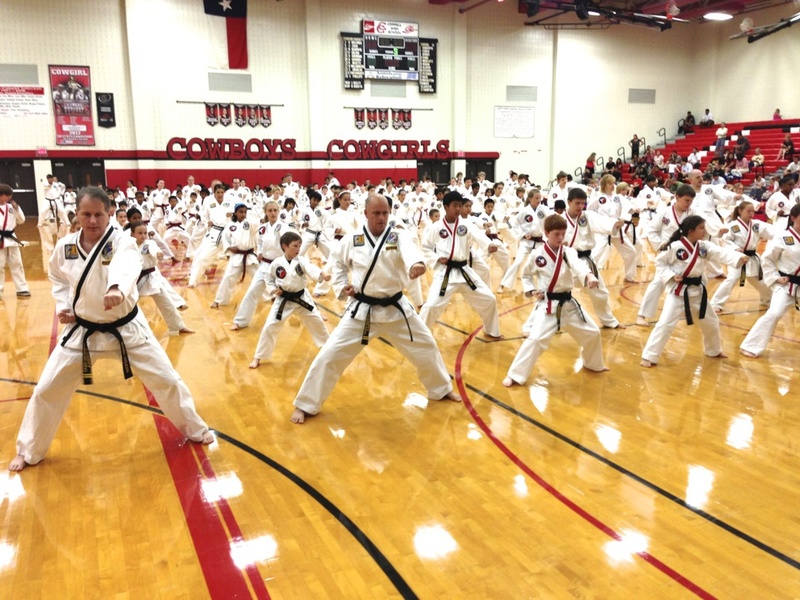 Students warming up at a karate Belt Test. Fierce but fun sparring round in between best buddies. Karate builds strong girls and boys!